Home Fashion Sustainable Fashion Where do clothes go to die? The first-world solution to this classic first-world problem is simple: buy more clothes. 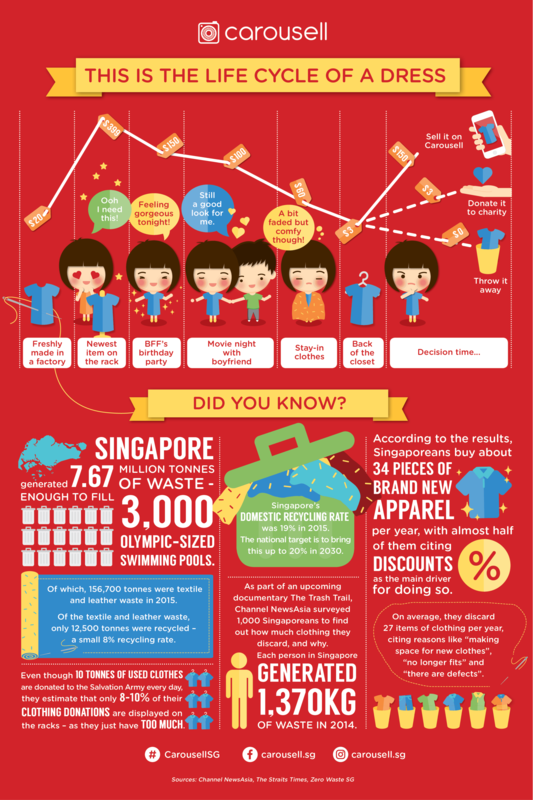 According to a CNA report, Singaporeans buy an average 34 pieces of new clothing every year, and then trash about 27 pieces of clothing. The National Environment Agency says we tossed 139,800 tonnes of textile and leather waste in 2016, of which only 7% was recycled. The rest? Incinerated! Australia doesn’t fare much better: Aussies buy an average 27 kg of new clothes each year, over double the global average. Obviously, we don’t want just trash clothes, so we donate them to charity instead. People in Singapore love doing that, especially leading up to Christmas or Chinese New Year. It makes us feel good about ourselves, and we solve our overflowing wardrobe problem. But we shouldn’t start patting ourselves on the back just yet. The Salvation Army in Singapore receives about 6 tonnes of donated clothing every day. There’s so much that only 8-10% of them get displayed on the shelves. Of the remaining 90% or so, a fraction of it gets exported to countries like Malaysia or Indonesia. In Australia, only 15% of donated clothing actually gets sold. And the rest of the donated clothes? They’re sent off to the landfills, even if they’re still in good condition. The story only gets worse from here. Most new clothes are now made from synthetic fibers like polyester, acrylic yarn and nylon. In other words, they’re pretty much made of plastic, and plastic takes forever to biodegrade. 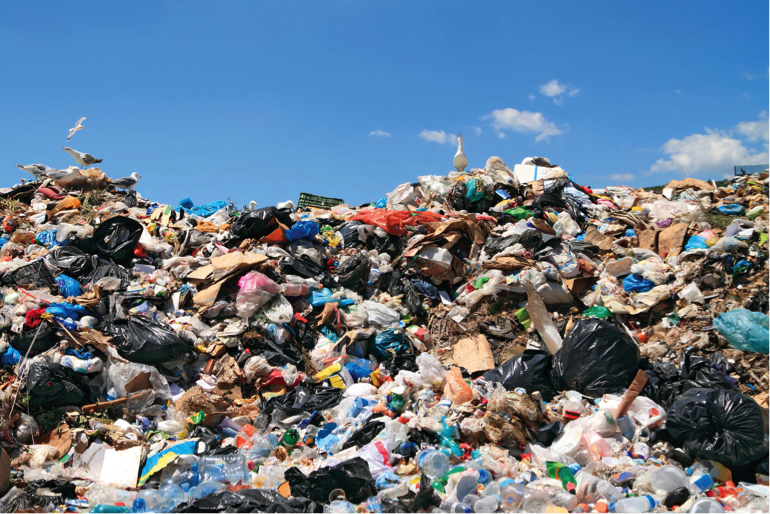 Even natural materials like cotton don’t really biodegrade, because they end up in landfills and not compost heaps. And that is the really sad true story of where clothes go to die. Let’s take a pause here and have a moment of silence for all the clothes that have met this horrible end. These are the same clothes that we have at some point gushed over, fallen in love with, and hugged our best friends in. From first dates, birthday surprises, university classes to job interviews and weddings, our clothes bore witness to all our special moments. They reflected our personalities and will always represent a small part of the memories made. Surely they deserve better? Your clothes don’t have to die! As Greenpeace recommends, the best way to declutter your clothes is to transfer it to someone who can use it. But maybe you don’t have time to sit in a flea market, or you don’t have friends and family your size. This problem is one of the reasons we created Carousell in the first place. At Carousell, we believe in making buying and selling easy so that your unwanted items can go to someone who’ll treasure it the same way you did when you first took your dress to the cashier. If you would still like to support your favourite charities, feel free to sell your clothes then donate the proceeds to them! They would appreciate monetary donations much more than sorting through and tagging tonnes of clothes that may not even get sold. One last thing: let’s not forget to come back to other devils in the equation: fast fashion and over-consumption. Trying to shop less is understandably hard. 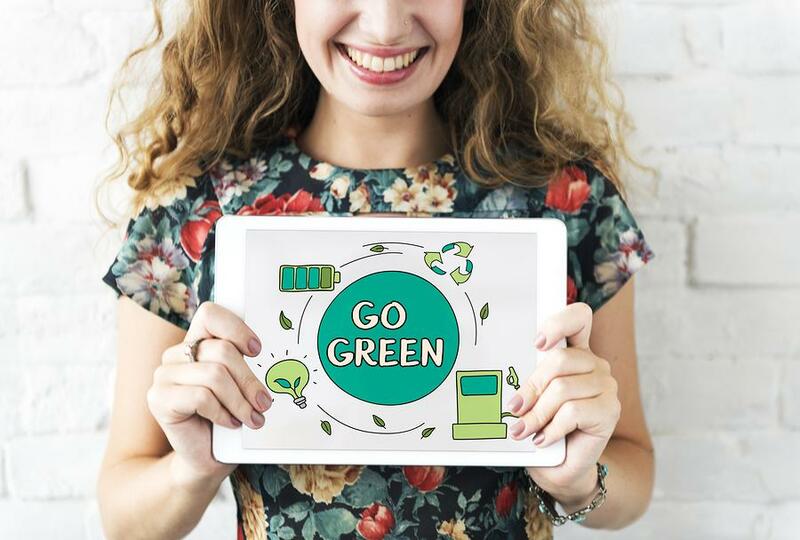 The good news is, you can enjoy precious retail therapy without sinning against the environment simply by making a conscious effort to shop preloved instead of new! So spend a weekend listing your old clothes on Carousell, set yourself a regular #SellAwaySaturday routine, and make a personal effect to put them into the hands of someone who wants them. You can also buy preloved clothes while you’re on the app and perpetuate the clothing circle of life.